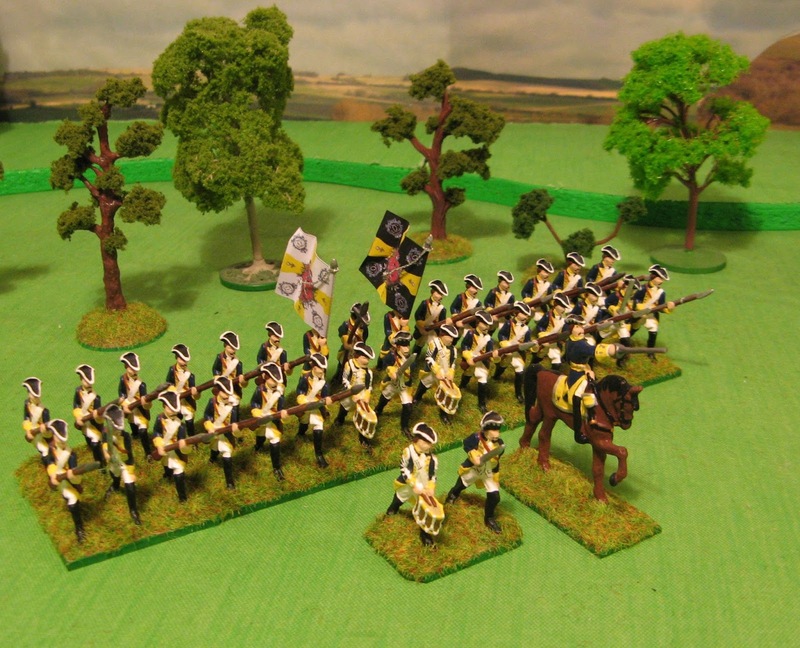 A couple more units completed for the re-organisation (PA home-casts) in their Brunswick uniforms. 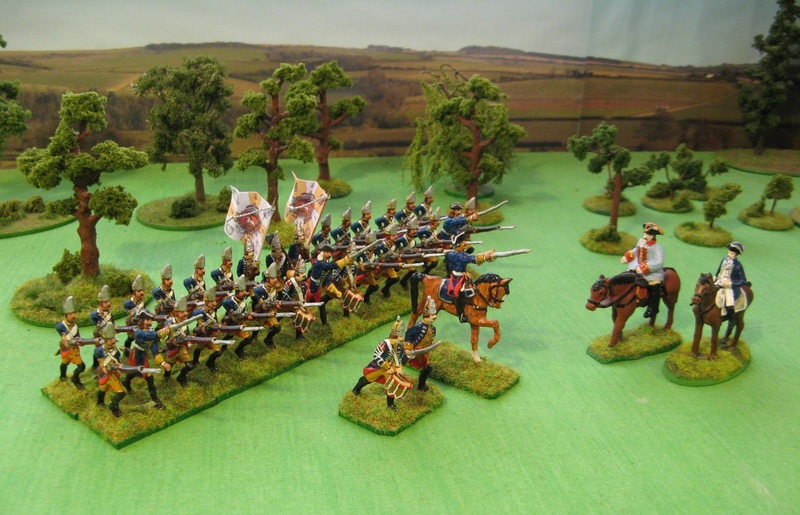 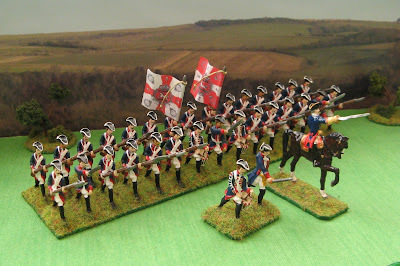 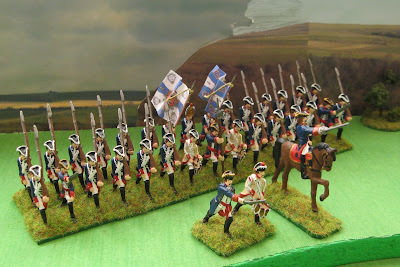 Three units left to do: Dragoon regiment, IR Imhoff and the converged grenadier battalion. 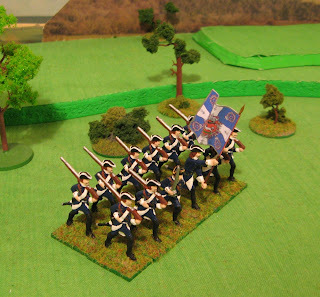 The infantry are all new castings, with the dragoons being a repaint - will be a while before these are done. 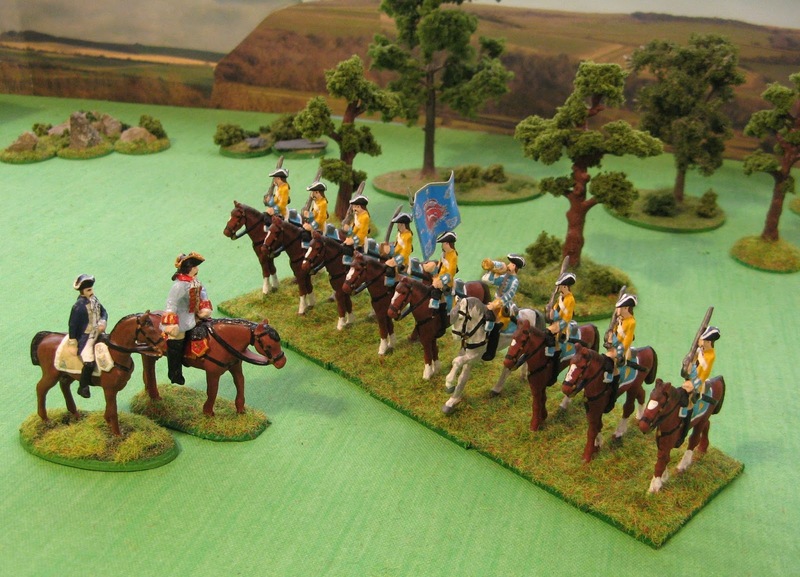 [ the Garde De Corps, uniform as close as I could get with the figures being converted dragoons. 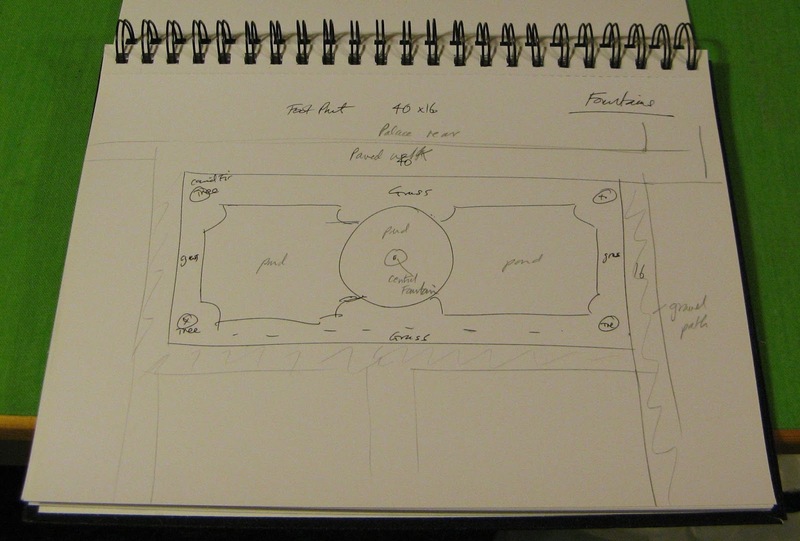 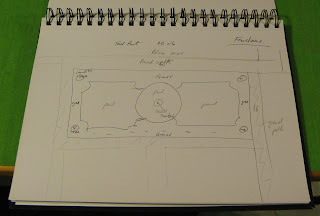 The outline sketch of the fountain and adjoining water ponds. 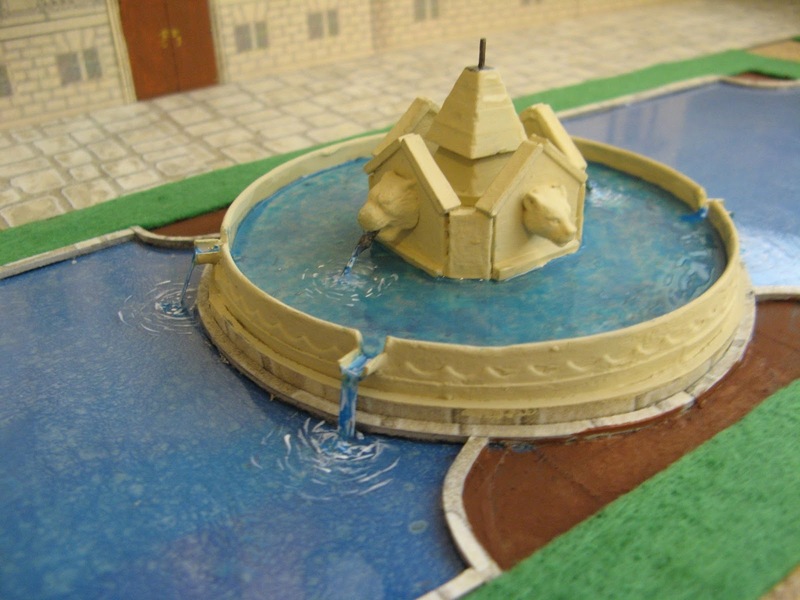 The central section initial build, water spouts from some plastic animal heads, the central pyramid is a small Italeri tank trap which will will hold a detachable fountain jet. 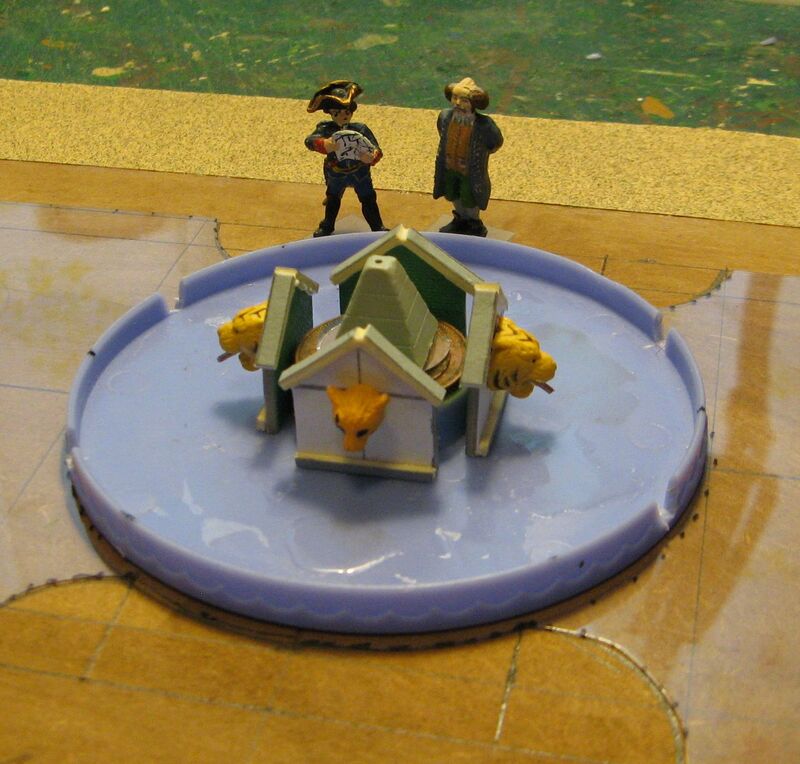 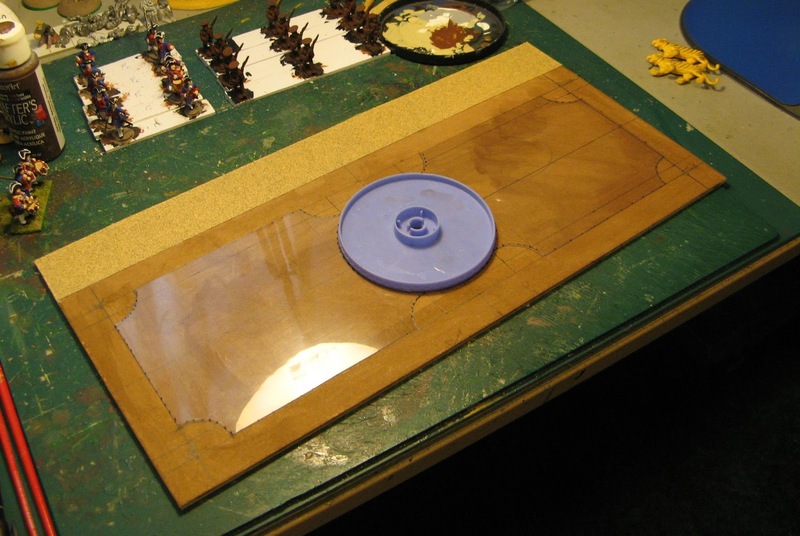 the circular area is a light wash of blue paint stippled with a large brush and left to dry with a three generous coats of acrylic gloss varnish on top. 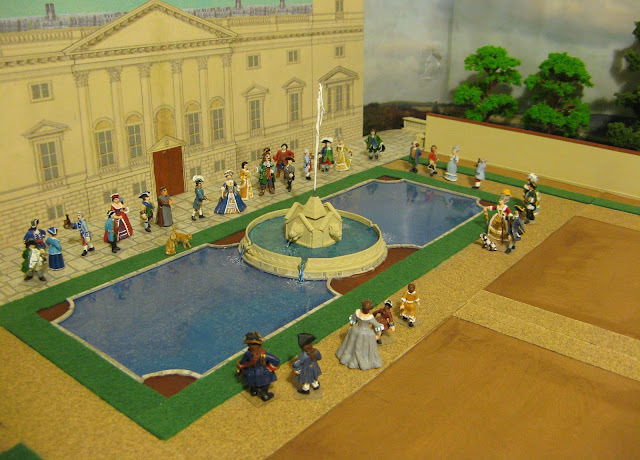 The central fountain jet has been made from a piece of thin wire with some thread and blobs of glue and will be painted white with a coat of gloss varnish - this will be in the next post.